With its modest dimension of just 160 cm in seating width, Rest Studio is ideal for smaller rooms, either alone or in combination with other furniture. The soft cushions and generous depth allows comfortable seating and relaxing. 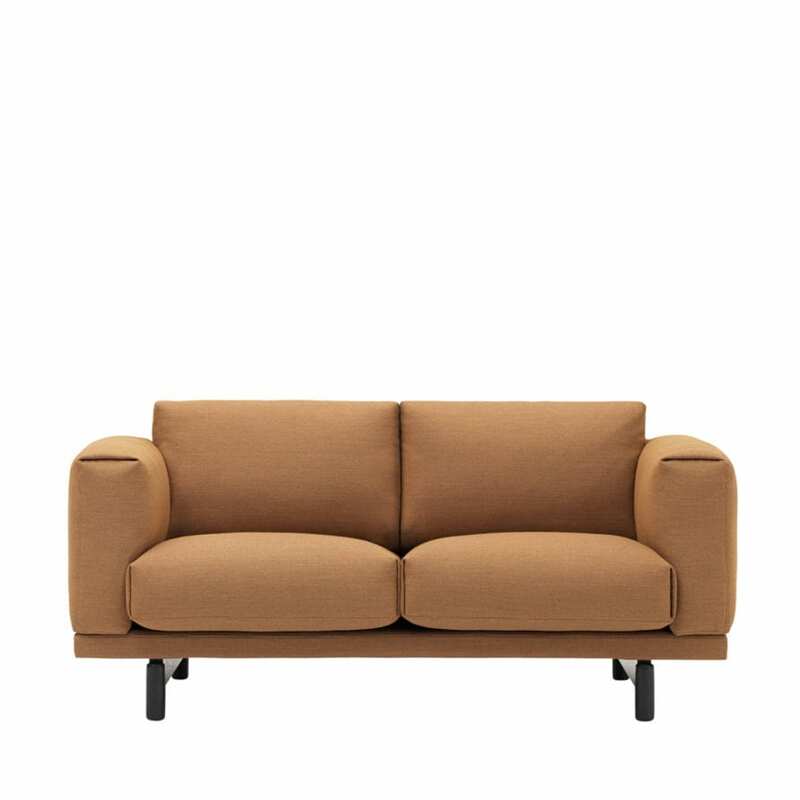 The sofa comes with thoroughly chosen details: The textile by Kvadrat is delicately folded around the cushions, armrests and back while the wooden base creates a sophisticated contrast to the sofa’s otherwise solid appearance. Rest Studio is an extension of the Rest sofa family, sharing the fresh perspective on classic lounge furniture, which is typical of the series. Designed by Anderson & Voll for Muuto. Fiord 451. Other colours available. Steel base, wood frame & oak legs, cold foam & feather filling. Textiles from Arve or Kvadrat.